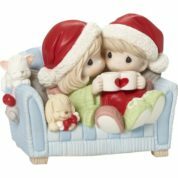 I’ve been looking for a good craft lamp for a long time, but haven’t pulled the trigger on any. 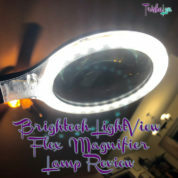 Then, like a light in the darkness, Brightech contacted me about reviewing one of the magnifying lamps and I’ve miraculously found what I was looking for in the Brightech LightView Flex LED Magnifier Lamp! 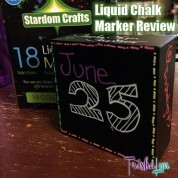 This has proven to be a fantastic lamp for my nail art, crafting, and other fine detail work. According to the Journal of the American Academy of Dermatology, 54% of women over the age of 25 have acne. I’m here to say that, unfortunately, I think I’m one of those 54%! 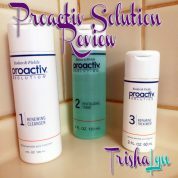 I’ve never been really good at following a facial care routine, so I’m not sure if it’s actually acne or just dirty pores, but when I was given the chance by Facing Acne to try Proactiv, I jumped at it! I had a friend in high school that used Proactiv right when it came out and raved about it, so I was excited to finally try it.